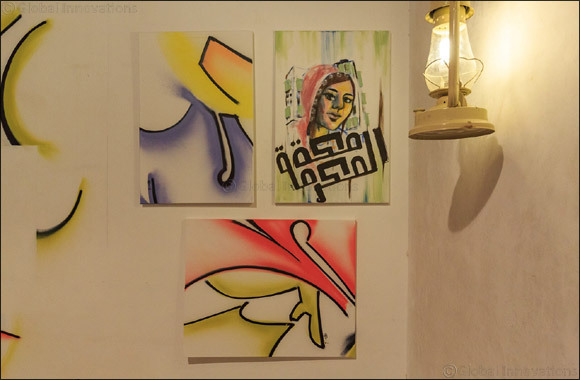 Muruj Alshatri, Butool Aljefri and Aeysha Enani are showing their contemporary Islamic clay structures and canvases in the ‘Miniature & Geometric Art Room’. This year, Dubai Culture has made it easier than ever before for the public to reach SIKKA Art Fair, reflecting the Authority’s commitment to involving all segments of society in the fair. Visitors can reach SIKKA via metro, car, bus shuttle, Careem, the S’hail app or even by abra for as little as AED 1 per trip. Dubai Culture is providing complimentary shuttle buses from the Al Seef by Meraas multi-storey car park to SIKKA, and has also worked with Careem to provide visitors with a special 15% discount on two rides when they book a taxi using the code SIKKA2018. The code is valid from 17th to 26th March 2018 for ‘now’ and ‘later’ bookings across all car types excluding GO, UNCHR and BOX, with a maximum discount of AED 20 per ride. Valet parking will also be provided at the Al Fahidi Historical Neighbourhood on a first-come, first-served basis.